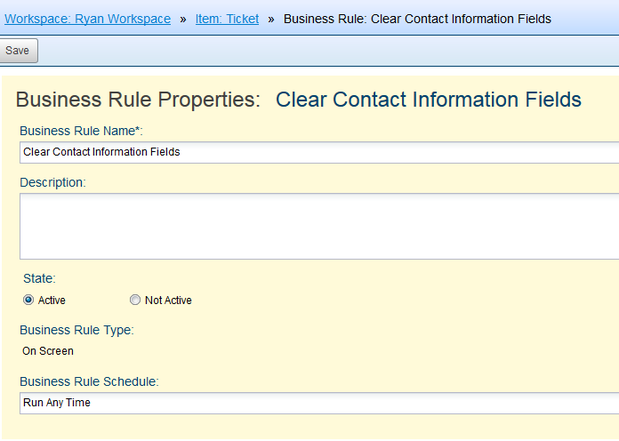 This business rule is used as a shortcut so agents may easily clear contact fields and/or other fields using a simple checkbox. After checkbox has been added, be sure to save the form. Give your On Screen Business Rule a name, the State will be set to “Active”, Business Rule Schedule will be set to “Run Any Time”. 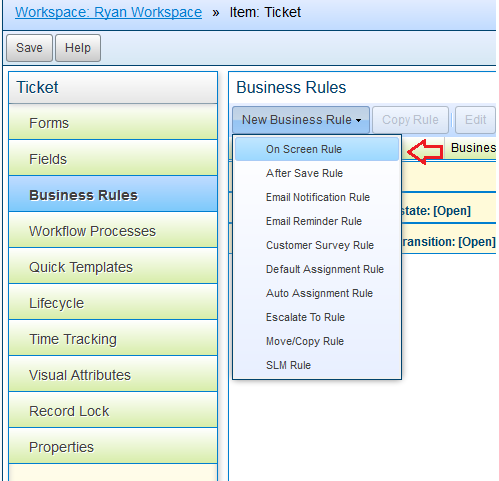 After all of the changes have been made, be sure to save the business rule and publish the workspace.